Using LTI only: students can only be placed in groups once they have been added to the learning activity. Make sure students are enrolled in the assignment. Navigate to the edit page of the learning activity by clicking the three dots in the upper right corner and click edit. Then, in step 1, click configure groups. 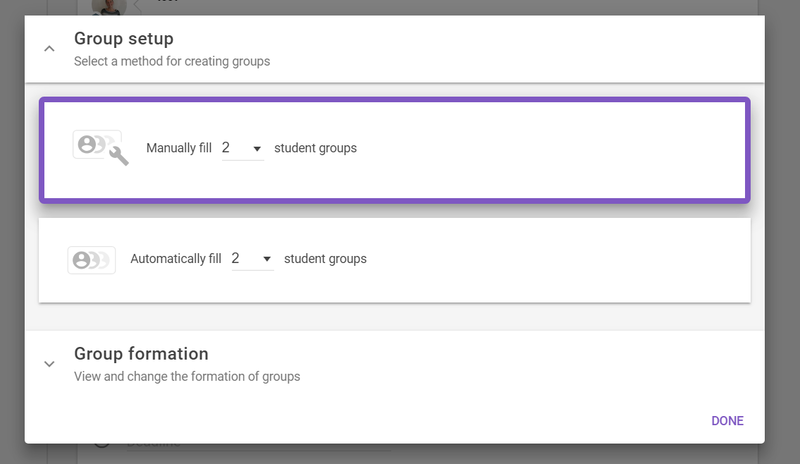 Follow this link for detailed instructions on assigning students to groups. If your institution uses the LTI+API integration, groups are automatically imported from your learning management system (see the screenshot below) You will have to assign students to groups in your LMS. In the FeedbackFruits learning activity you can only choose which groups you wish to include in this learning activity.